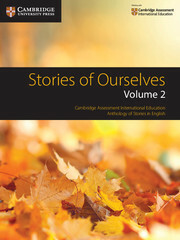 Parts of Stories of Ourselves Volume 1 are set for study in Cambridge IGCSE®, O Level and International AS & A Level Literature in English courses. 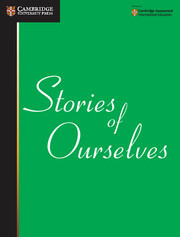 Each short story in this collection has its own unique voice and point of view. 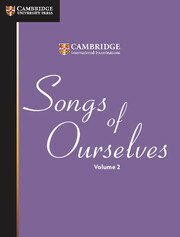 They may differ in form, genre, style, tone and origin, but all have been chosen because of their wide appeal. 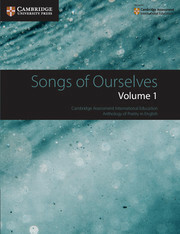 Written in English by authors from different countries and cultures, the anthology includes works by Charles Dickens, H.G. Wells, Virginia Woolf, Graham Greene, V.S. Naipaul, R.K Narayan, Janet Frame, Raymond Carver, Jhumpa Lahiri, Annie Proulx and many others. 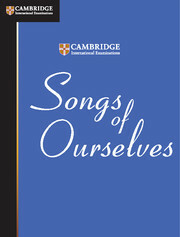 Parts of the book are set for study in Cambridge's IGCSE, O Level, and Cambridge International AS and A Level Literature in English syllabuses, but it is designed to have a broader appeal and function, providing short stories to enjoy for readers of all ages and backgrounds. 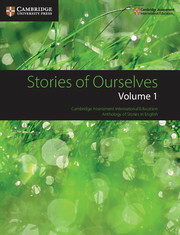 This international anthology contains a wide variety of short stories from across the English-speaking world. Famous authors, from Charles Dickens to Annie Proulx, combine with many new and lesser known writers to create fresh and interesting effects and contrasts. All stories have been carefully chosen for their wide appeal, avoiding anything obscure or hard to interpret. Notes on each text help students understand unfamiliar words and references. 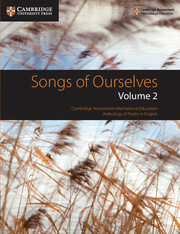 Can be used alongside Stories of Ourselves Volume 2 and Songs of Ourselves Volumes 1 and 2.